7 chapters, containing 103 teachings. Selected teachings delivered in Satsangha from 1996 through 1998 in New York City. Practical wisdom for daily life to profound and timeless insights. 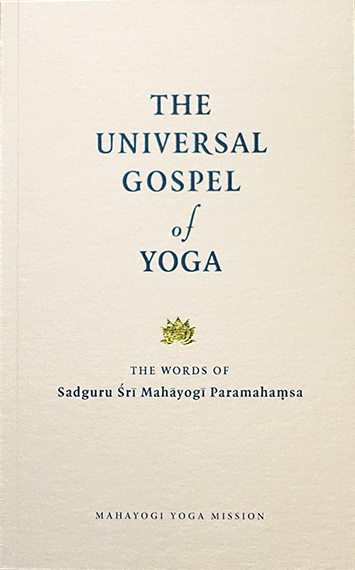 Contained within this Gospel are the uniquely comprehensive teachings of Yoga and its practice, excerpted from conversations between Śrī Mahāyogī and his disciples and devotees. With the sole purpose of Awakening ever-present from beginning to end, he sheds light on the various teachings, practices and disciplines of Yoga. From the physical, such as asana practice and dietary suggestions, the most practical of daily matters, to the most subtle inner-workings of the mind, all is made practicable for the seeker of the modern age. If practiced diligently, the teachings in this Gospel have the power to clearly and precisely direct the seeker to an ever-deepening understanding of the true purpose of life—which is to awaken to the immutable and eternal Truth.